My mother's cousin has blessed me with my first family quilt with a known history! 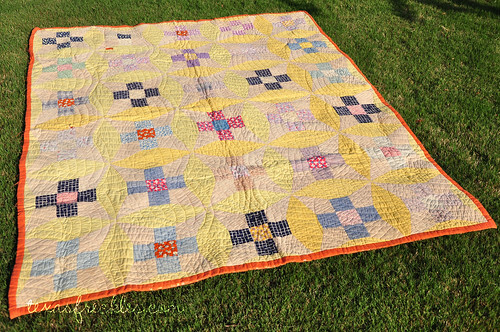 I have a few other quilts that belonged to my grandmothers, but I don't know where they came from; I don't think any of them were made by family members. This wonderful quilt was a wedding gift to my great-aunt and great-uncle who married in May of 1933 in Lovington, New Mexico. 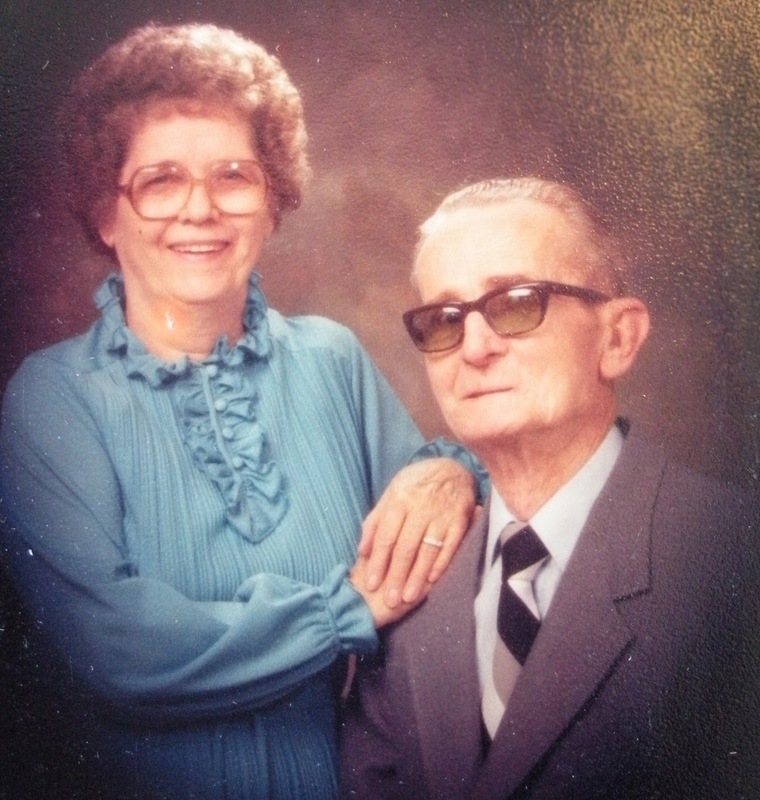 It was made by my great-uncle Marvin's mother for his marriage to my grandmother's sister, my Auntie Margaret. 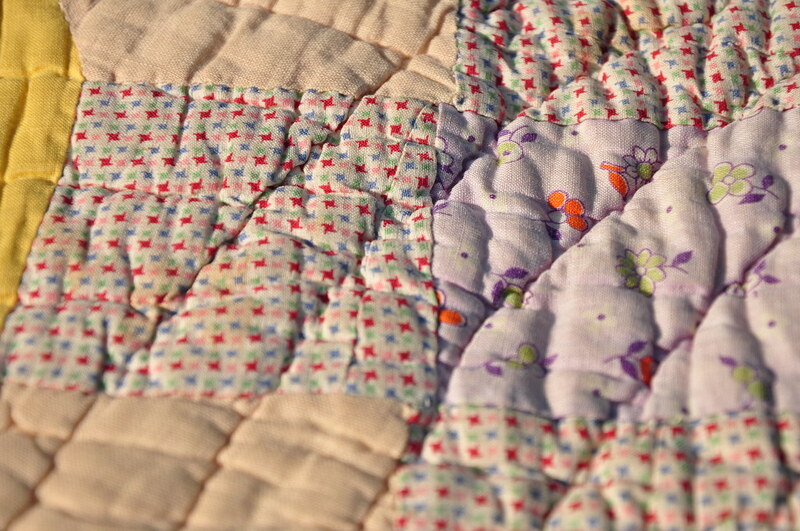 It's entirely hand pieced and hand quilted. Although it is in wonderful condition for its age (it's at least 77 years old), the fabric has worn quite thin and it is damaged in a few places. I want to make sure that it is well preserved, but I'd like to enjoy it too, so I'm not sure how to best display or store it. 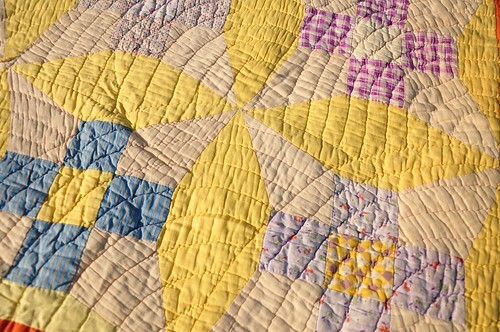 If anyone has experience with preserving, caring for, or displaying vintage quilts, I'd love some advice! Thank you again, Ron! I promise to treasure this beautiful gift for a lifetime! What an awesome quilt! You are very lucky! i could offer a little advice? i'm a heritage professional and whilst it's mainly common sense, i'll say what i say to museums just in incase. the no1 risk to fabric is infestation, so check for moths ect. if you must, use mothballs but they give off slightly harmful fumes so consider which is worse in your situation. after that it's LUX and UV in daylight - windows dont block LUX so store things out of direct sun. Folding can make weakness at the creases, so the fewer the better. If you want to pack it away, use plenty of Acid Free Tissue to buffer the folds and put in an acid free box if possible, as paper acids will increase rotting rate. Feel free to ask if you've any questions! i'll go away now and leave you in peace! Congratulations! How lovely to have a family heirloom. Wonderful! Maybe you can find a way to store it but still take it out and display it safely from time to time? What a beautiful heirloom! have you thought printing a label for it with this story on it? Then your children and grandchildren and those researching quilts will forever know where it came from ! Wow, truly a treasure. That's an "improved 9patch" pattern, isn't it? 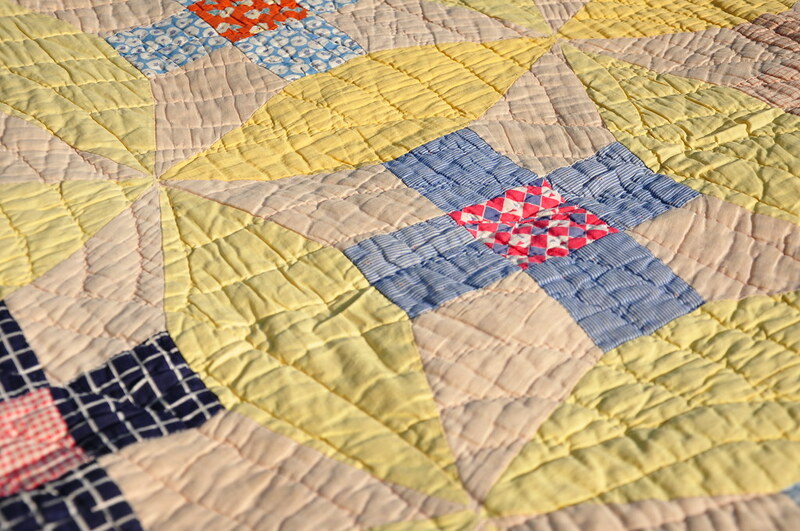 It is just beautiful, with the fan quilting. Probably really too delicate to hang, but maybe it can spend time laid gently over a chair that isn't used too often and is out of the sun! Lucky you. 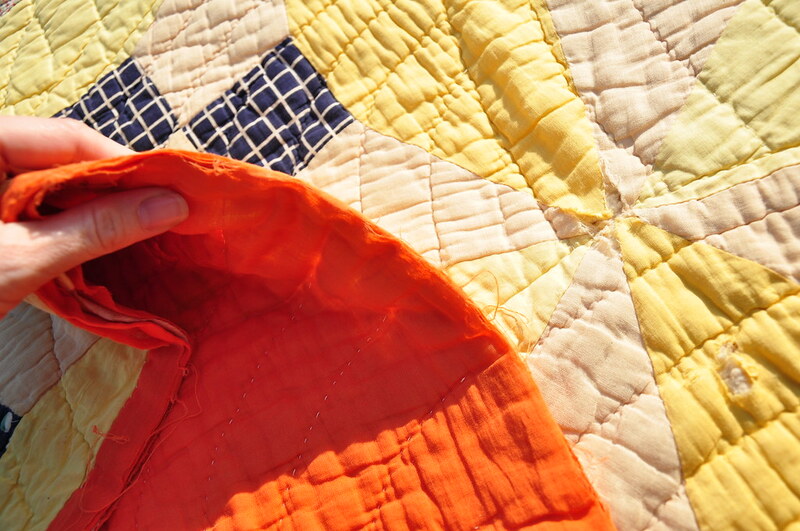 I have pieces of my grandmother's 1930's era quilt--what wasn't shredded with age and wear-- that we used to use as a beach blanket (wince)when I was a kid, but I later cut up to make doll blankets for my nieces and a block to adorn a tote bag I made. What a beautiful quilt! How blessed you are to have a family heirloom like this. 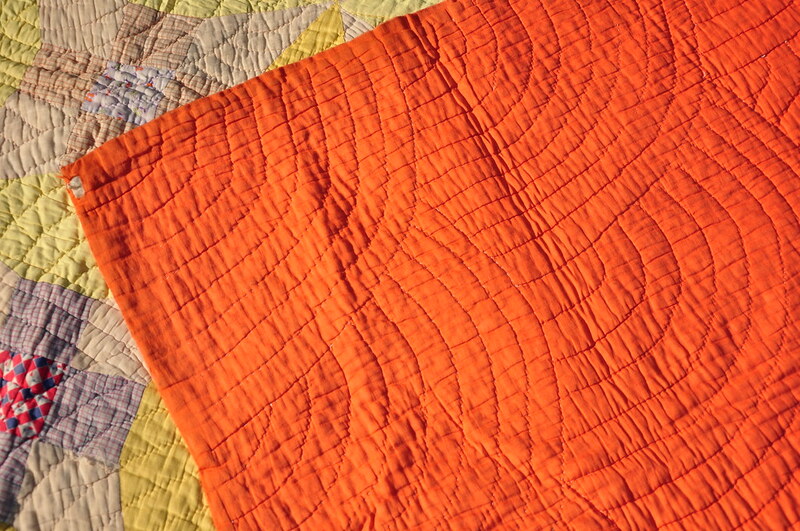 I love the fact that it still looks fitting for a current quilt despite the fact that it was made 70+ years ago. The colours and design truly are timeless. I would love to recreate this! I have read your entire blog this weekend! Loving it also.